Social media works! You have to start by integrating social media into your existing conversations with your consumers. You also have to keep measuring the effectiveness of what you are doing. 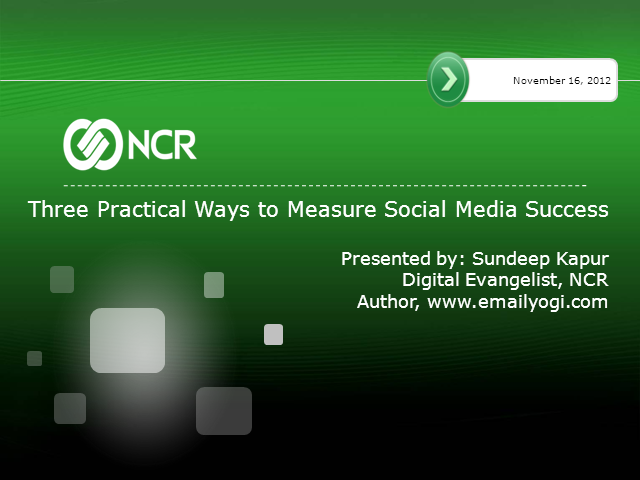 In a practical case study based approach we will talk about specific ways to integrate social media into your other channels, and discuss three practical ways to measure social ROI.